Click the button below to add the Nightly Scalp Massage to your wish list. It’s difficult for follicles to be healthy and at their natural pace under all the stress received from different methods of styling and unwanted chemical use. For hair to be healthy and strong, it must be pampered and treated with care from the roots, shaft, and cuticles to maintain its health as well as stay soft and manageable. Try our Nightly Scalp Massage Treatment to give your scalp a well-deserved massage that relaxes the scalp and improves the health of your follicles. This lightweight oil is applied to the tips of your fingers and is massaged throughout the scalp in order to remove dead skin cells and flakiness that may cause hair to fall. It moisturizes the driest of scalps while helping to strengthen and nourish. This product will assist in opening the hair follicles and stimulating your scalp to promote thicker, healthier hair. Softens hair and makes it more manageable. Can be used on both men and women. Filled with nutritious oils, minerals, and vitamins to help nurture dry, damaged scalps for increased hair health. This product provides you with soft, manageable hair. Please use a small amount for best results. Horsetail Extract is full of minerals to strengthen the texture of hair. It helps condition your hair and has been used in native cultures for hair issues. Atlas Cedarwood has Vitamins A, B, C, E, and F. It also protects your hair from heat received from styling tools. Thyme Extract is used to nourish hair and get rid of dandruff as it is a natural antiseptic. Sea Buckthorn Oil is a potent oil that stimulates circulation, relieves itch and slows down scalp flaking from psoriasis, seborrheic dermatitis or eczema. It is full of Omega 3-7-9. Apricot Kernel Oil has a high content of vitamin A, C, E, and potassium. This lightweight oil is gentle and improves the condition of both skin and hair. This oil promotes the health and texture of hair by moisturizing and nourishing hair roots and strands. 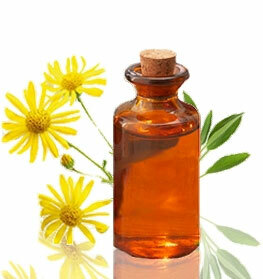 Rosemary, Lemongrass, and Ylang Ylang Essential Oils have been used in ancient medicine. It has has soothing aromatic qualities and will help stimulate the scalp, thus improving hair health and strength. Aloe Vera Extract helps repair your hair and scalp from any dead cells that can be left as buildup. 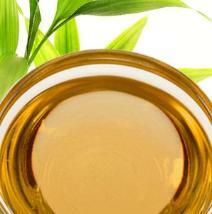 Apply an adequate amount of oil in the palms of the hand and apply to the scalp. Massage it into the scalp. For extra relaxation, make sure to start from the front of the scalp and massage in circular motions until you reach the back of the scalp. Do not apply much pressure on the front of the scalp, just gently rub until you reach midway to the back of the scalp. Then, you may increase the pressure applied to the scalp. It is best if used as a nightly leave-in serum to let your scalp relax. Should be used at least once weekly, but you may make adjustments as desired. If shampooed is preferred, it is best to leave the product in for 2-3 hours before shampooing. If you use this product at night, we suggest covering your head with a plastic cap and securing it with a silk/satin scarf or bonnet to protect your hair from rubbing against the rough cotton sheets and staining your pillows. We recommend using this product at least once a week. At most, it can be used once nightly. Depending on your regimen, you can alternate with any other oil products either weekly/biweekly. Prunus Armeniaca (Apricot Kernel) Oil, Corylus Avellana (Hazelnut) Oil, Simmondsia Chinensis (Jojoba ) Oil, Vitis Vinifera (Grapeseed) Oil, Olea Europaea (Olive) Oil, Thymus Vulgaris (Thyme) Extract, Hippophae Rhamnoides (Sea Buckthorn) Oil, Persea Americana (Avocado) Oil, Citrus Sinensis (Orange) Peel Oil, Rosmarinus Officinalis (Rosemary) Oil, Cedrus Atlantica (Atlas Cedarwood) Oil, Cupressus Sempervirens, (Cypress) Oil, Cymbopogon Flexuosus (Lemongrass) Oil, Cananga Odorata (Ylang Ylang) Oil, Lavandula Angustifolia (Lavender) Oil, Urtica Dioica (Nettle) Extract, Equisetum Arvense (Horsetail) Extract, Aloe Barbadensis (Aloe Vera) Oil, Arctium Lappa (Burdock) Extract. This product has been great for me. I love the scent as it helps me go to sleep much easier but it has grown my hair significantly. I love this product! I really like the results that I’m getting from the Nightly Scalp Massage. I suggest using a small amount and massaging into your scalp and relax with some soothing music. My hair is longer and softer than I have ever since it in years. This has left my scalp feeling soothed and moisturized after using this product. I have been dealing with an irritated scalp for a long time and this is my medicine for this issue. This product is the best for hair fall. I've been using it for 2 years now and my hair growth has been amazing. I even use it on my daughters to ensure that the daily stress that they put on their hair doesn't result in hair fall. I highly recommend this product. I had a massive hair shedding thanks to meds, my hair looks great and the thinning unnoticeable to anyone but myself. This botanical oil product for new hair certainly made my hair look full while I was dealing with the fall. I now have a lot of new hair growth and will continue using this as I love how it makes my hair look. My scalp has always caused me problems. There's not a day where it's not dry flaky or itchy. I have to say the MOMENT i put this in my hair, I felt my head cool down and it was extremely relieving. even the SMELL is soothing. I am very very pleased and wil have to update you guys when I see the full results!!! I originally purchased this product for my son who has alopecia to use at night. He went to several dermatologists but none of the products worked. We ordered this product and my son's hair grew back! He now has a healthy head of hair. I recently ordered it for my hair since I myself have a bald spot and I am hoping it will grow back. I've been using this product for about 3 weeks along with an attempt to regrow hair that had fallen out due to a stressful situation. it appears to be working, but, as well, I am handling the stress better. Originally, I had very red, scaly, scalp....very distressfull in itself. The redness and itching had subsided before I began using this product. So now, I'm hoping, as I grow my hair out, that the bald places will fill in. So far, it appears to be coming back in those areas. I like the smell and the ingredients in this...nothing that wouldn't be good for your skin. My hair and scalp really loved the pampering. My dry scalp and hair really drank in the moisture and was much softer after shampooing. Using it daily was too much but twice a week keeps my hair shiny and soft and younger looking. I left it on overnight covered. I shampoo in the morning and that worked great for my schedule. Yes a great scent too. I work a very stressful job and as a result, my hair started falling out in clumps especially in the shower. I bought this out of desperation and now, I live by it. The loss has been essentially reversed and just applying it helps me take a breather from the long days. Very pleased. Been half a year since I've been using this. It is so soothing I find it helps me sleep at night and the smell is calming. That's not even mentioning the baby hair i have all over now. Safe to say I'm a continued customer. took about 30 days to see a difference, but it works!!! Smells awesome too! This treatment has been great for me. I love the scent as it helps me go to sleep much easier but it has grown my hair significantly. I love this product!